October 11 must be one birthday no self-respecting film buff can forget. 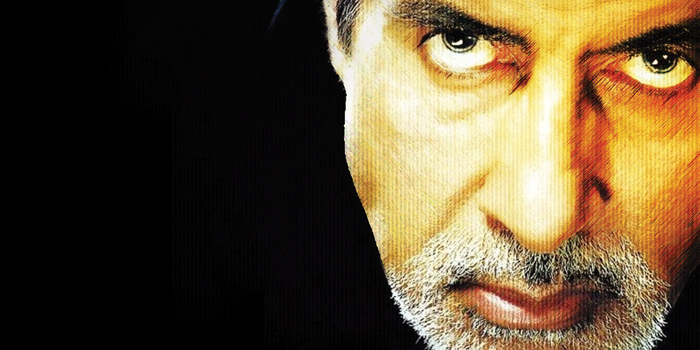 Amitabh Bachchan gracefully turns a year older today. A few days before becoming 71, it was announced that he would be sharing screen space with Farhan Akhtar in a film to be directed by Bejoy Nambiar; this while his show Kaun Banega Crorepati goes great guns on TV. He has also been earmarked for a fiction series on television besides voicing the part of Bheeshma in an animated version of Mahabharata. In a recent interview when he asked to pick actors he admired, not surprisingly Dilip Kumar was the first name he mentioned. However, from current actors he singled out Naseeruddin Shah, Irrfan and Nawazuddin Siddiqui. Bachchan and Siddiqui co-starred in a film called Shoebite, directed by Shoojit Sircar, which ran into litigation and was never released. In the same interview he was also asked if he felt any of his films were under-rated. Bachchan picked three: Alaap (1977), Main Azaad Hoon (1989) and (surprisingly) Nishabd (2007). Watching these three films might be a fitting way for fans to celebrate his big day.